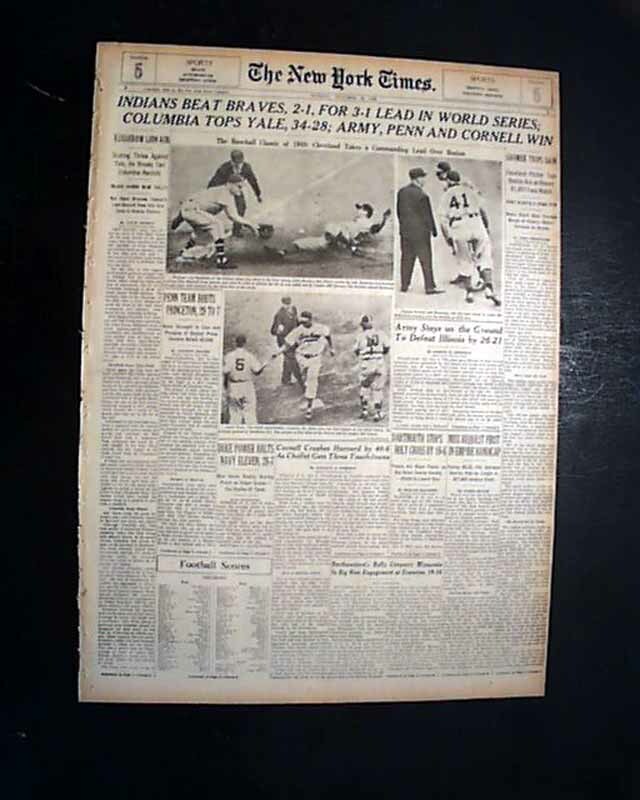 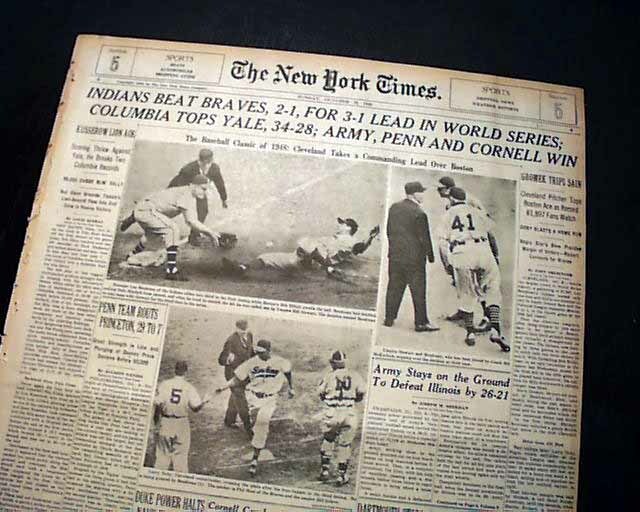 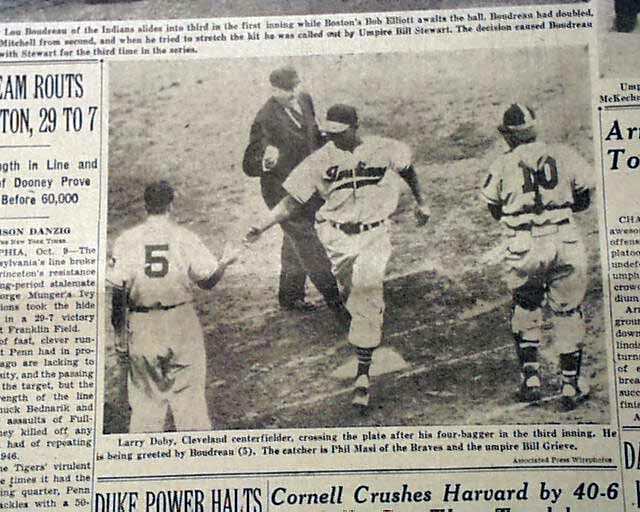 The front page of this section has a banner headline: "INDIANS BEAT BRAVES, 2-1, FOR 3-1 LEAD IN WORLD SERIES" with subheads and three related photos, one showing Larry Doby crossing home plate after hitting run. 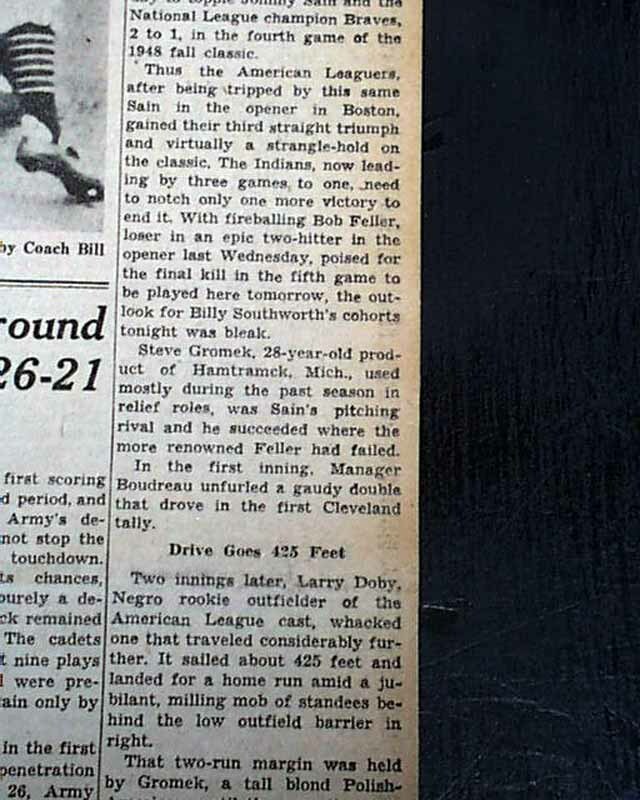 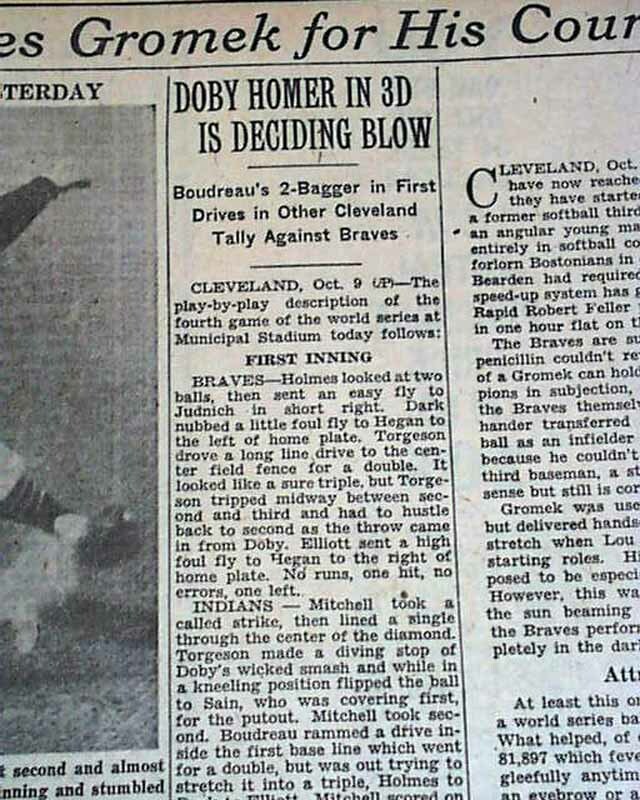 More on page 7 of this section with another photo of Doby and box scores. 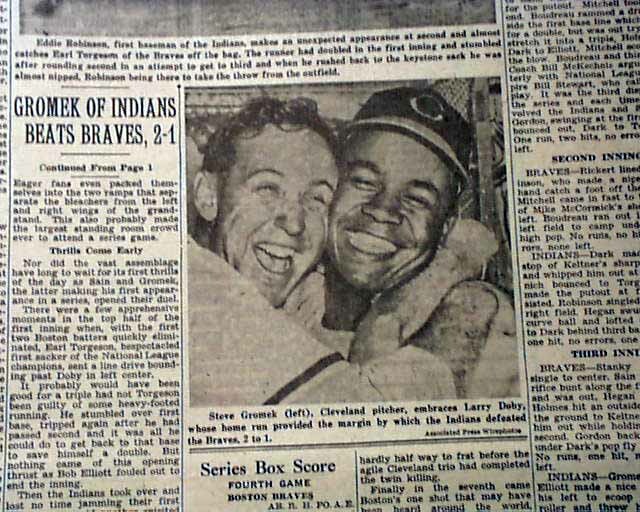 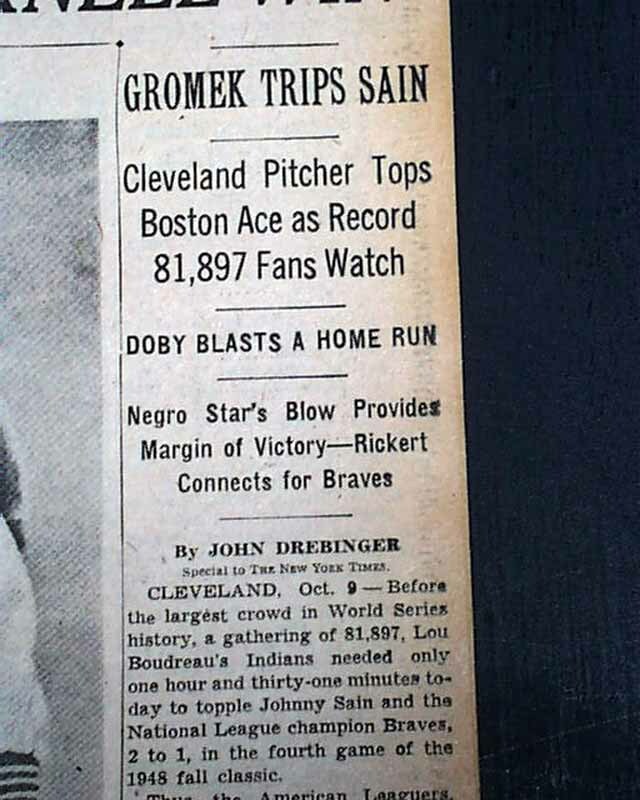 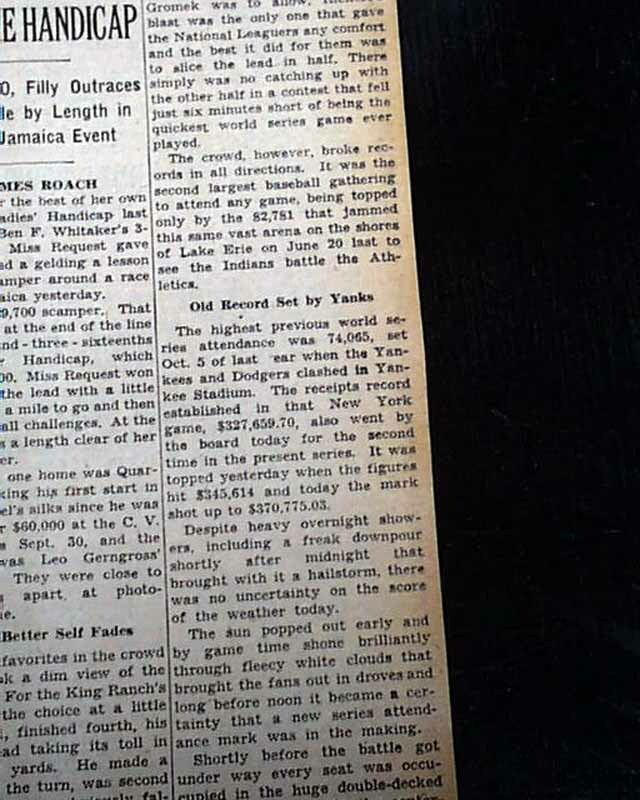 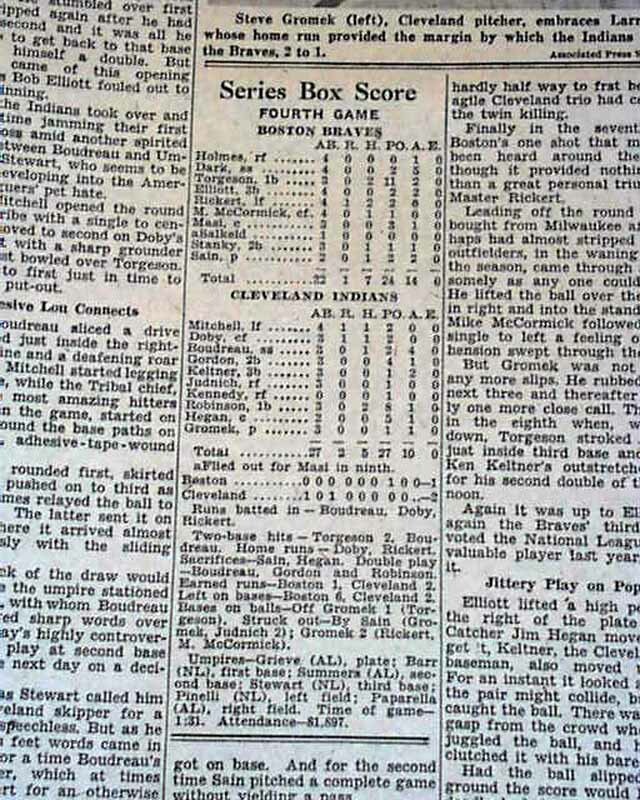 First report coverage on game 4 of the World Series in which Larry Doby became the very 1st African American to hit a home run in the October classic. 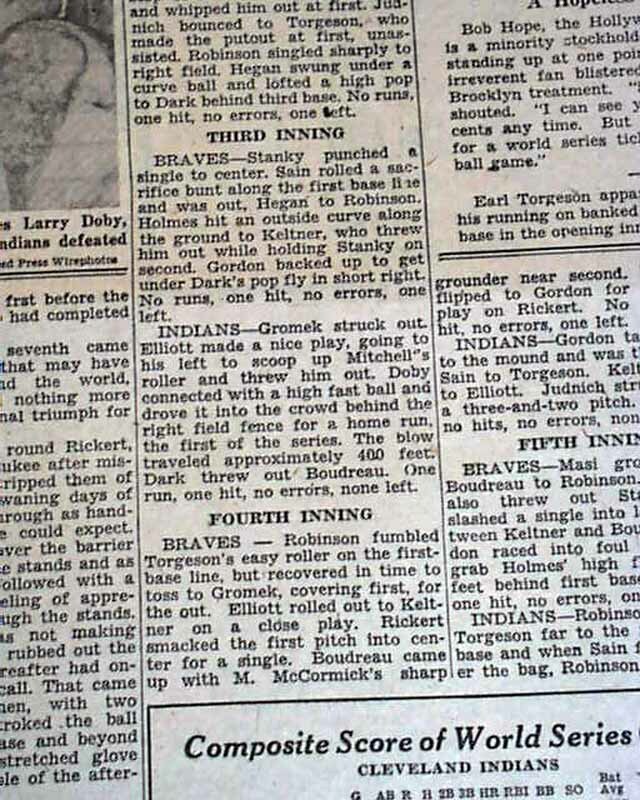 Other sporting news of the day. 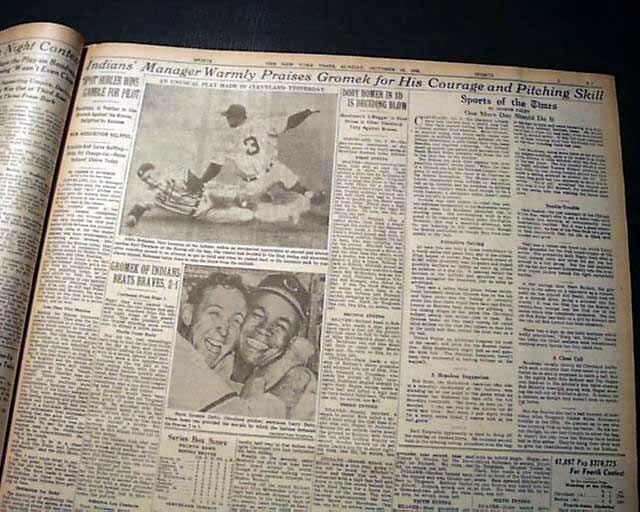 Complete sport's section only with all 12 pages, light toning at the margins, nice condition.